At first you thought it was a heart attack or stroke. You’re grateful it wasn’t, but then you got frightened because you didn’t know, and don’t know what’s happening to you or how to control it. A heart attack would be much, much worse, but at least you’d know what you were dealing with and how to treat it. Maybe you visited your doctor in a desperate search for answers, but what you discovered terrified you more: even your doctor doesn’t know how to cure what you’re suffering through. You may have even thought you cured them on your own years ago, but now they’re back and you’re afraid you’ll never find a way of getting rid of your panic attacks forever. Google tells you it's a, ‘a sudden feeling of acute and disabling anxiety.’ That description doesn’t give you much comfort, but the fact that it’s a ‘noun’ does because at least you know that enough other people are experiencing the terror you’re experiencing to warrant a proper grammatical label. But every description you discover seems woefully inadequate, because as uncomfortable as the anxiety feels; it’s the loss of control that bothers you the most. It’s the feeling that something else inside of you is in charge, and you have no say in the matter, that really scares you. The good news is that ‘control’ and ‘fear’ are actually the keys to beating your attacks. 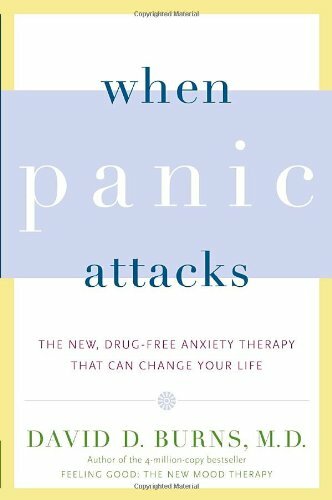 It’s always easier to defeat an enemy once you know their methods, but you’ll soon discover that treating a panic attack as an ‘enemy’ is actually what empowers it. The incredibly frustrating part is that you really don’t know, so you live your life in fear of… well, everything. You draw connections where they may not exist and confuse causation with correlation. 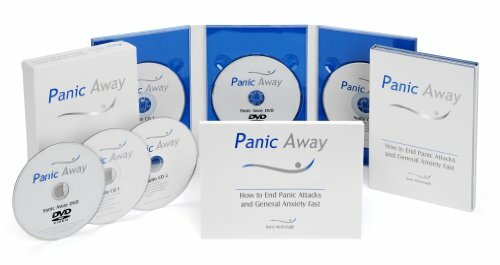 Many seem to get panic attacks in grocery stores, trains, busses, and airplanes, but you have been attacked by panic sitting calmly eating cereal. This exercise of avoidance doesn’t eliminate your panic attacks, but it does give you the feeling like you can control when you have them. However, it disrupts your life further and gives your panic attacks that much more power in the end. Get informed. The more you know about what you’re dealing with, the better equipped you will be to address it. The unknown is scary and you can eliminate that factor with information. Make breathing hard and feeling your heart pumping seem common and even enjoyable to you. Becoming intimately familiar with the physical sensations that accompany your attacks can go a long way to minimizing the intensity. When you’re not well rested, your mental processing power is diminished. Being able to think clearly is a major advantage when dealing with your attacks. Stimulants and depressants can make you feel out of control on their own and ripe for a panic attack. Plus, they inhibit your ability to apply reason, and reason is a great weapon against panic. Embrace them. Yep, you read that correctly. When people feel an attack coming on, most of them invoke a mental, “NOOOOOO”, and run from it in their minds. Sometimes it works, but most of the time it merely delays, and it very often results in physically removing oneself from a place they really need to be – like a business meeting. By embracing or even taunting your panic attacks, you are no longer fighting or fleeing it; you’re making it your friend and crippling its control over you. The adrenaline that triggered your panicky feeling in the first place stops being released into your bloodstream and you enjoy a big, BIG moment of empowerment. The One Move Technique exploits this method. Welcome your panic attack and it won’t bother coming. If it does: what’s the worst that can happen if you crawl into a corner of a crowded subway train and have an attack? Maybe you’ll be embarrassed? So what! Knowledge is your weapon -- you know your panic isn’t going to kill you and you really won’t die of embarrassment – so your attack won’t bother taking you up on your invitation. Frankly, to a panic attack, you’re just no longer any fun at all. Laugh off your ‘fear’ and take ‘control’ by actually deciding you want a panic attack and gratitude for the experience may be the only unexpected event you trigger. Every now and then I am experiencing panic attacks. I find it hard to know what triggers it. Thank you for sharing this article. Great help.. I'm so pleased you found it helpful. Stay strong.